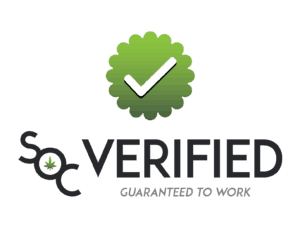 Green Roads has grown into one of the leading manufacturers of CBD in the industry. 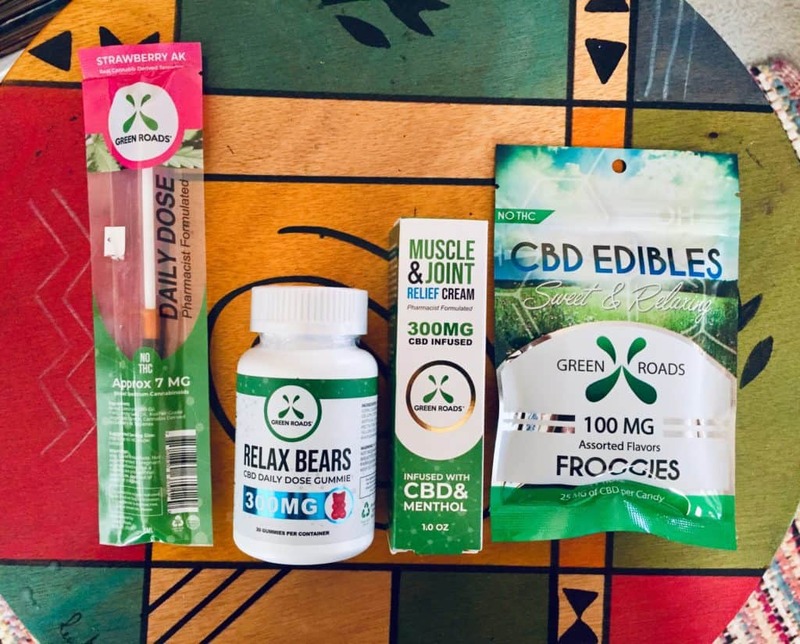 The company’s focus is the medicinal side of cannabis and they’re the first company in the US to use licensed pharmacists to formulate their CBD products. They want to offer patients an all-natural way to health and healing. 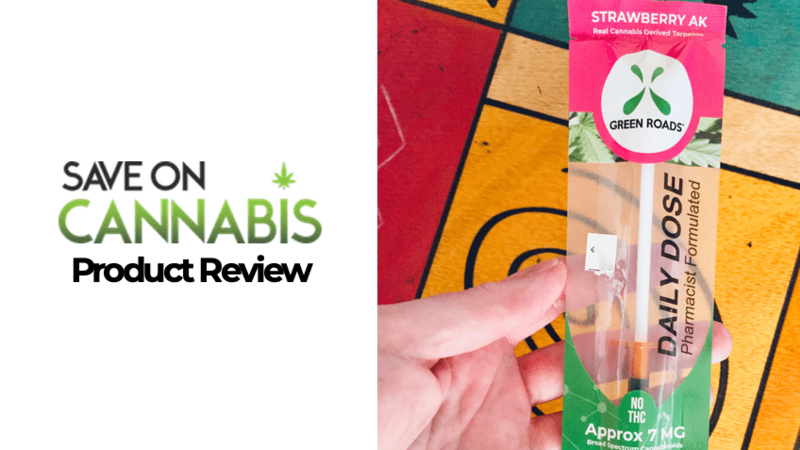 Green Roads has a huge product line to meets a variety of their patient’s needs. From their edibles, concentrates, oils, and animals tinctures, they use the purest form of CBD on the market. What sets them apart from many other companies is their commitment to excellence. Every three months, Green Roads has every product tested for purity and potency by a third party lab, so you get quality and consistency every time. Gonna try the Daily Dose Strawberry AK CBD in a nifty prefilled dropper! 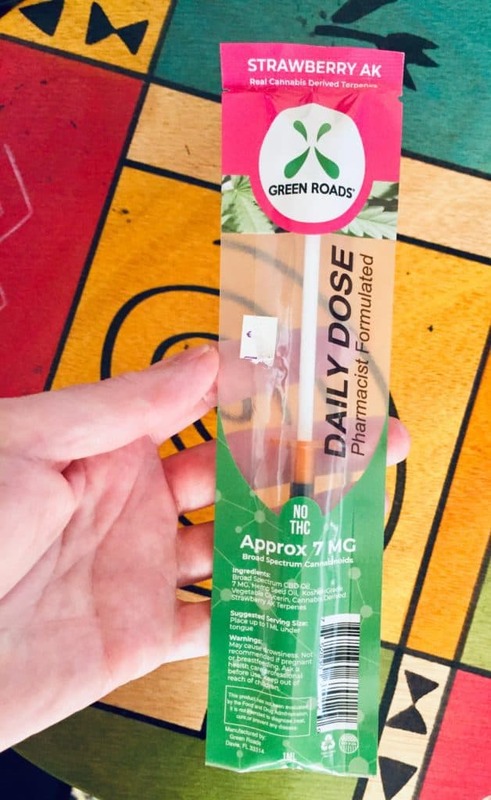 This Green Roads Daily Dose is a pre-filled dropper of 7 mg of CBD and Strawberry AK terpenes that is taken sublingually and is perfect for medicating on-the-go. Their Strawberry AK oil is a sweet sativa strain that is ideal for those seeking focus and energy. 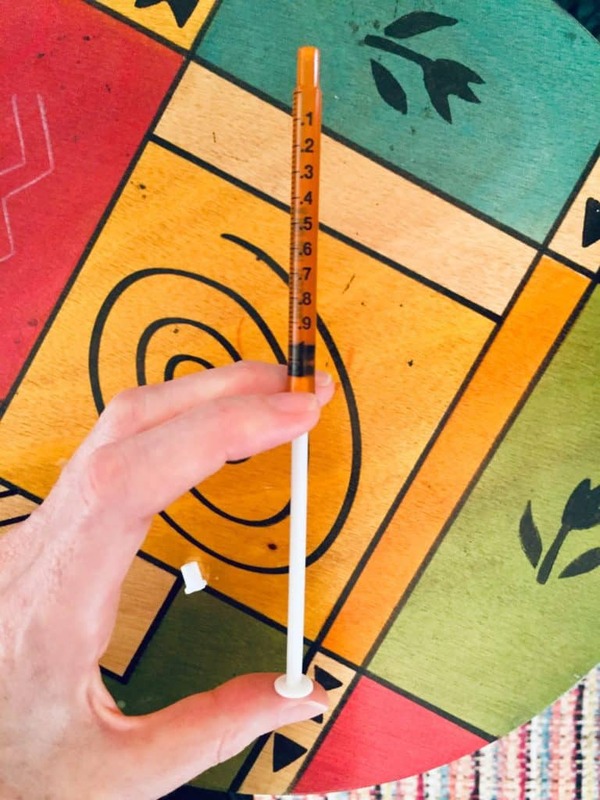 Microdosing couldn’t be easier with the oral syringe with measured markings. The dropper is small and easy to carry around with you during your travels. One of the coolest things about this formula is that a board-certified pharmacist selected the dosage for this product! 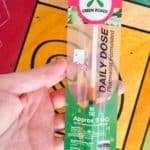 I have loved syringe droppers in the past so was excited to try the Daily Dose! I found them to be an effective method for getting the meds. This little and portable syringe was also convenient because I had planned a road trip up to the mountains where my mom lives, and after having hip surgery, I was afraid the long car ride would be painful. Driving for over forty-five minutes sends nerve pain shooting down the side of my leg. The Strawberry AK terpenes were an added bonus because it’s derived from a sativa plant (my fave), and I was hoping it would keep me alert while I’m forced to listen to my mom tell the same stories over and over and over again. 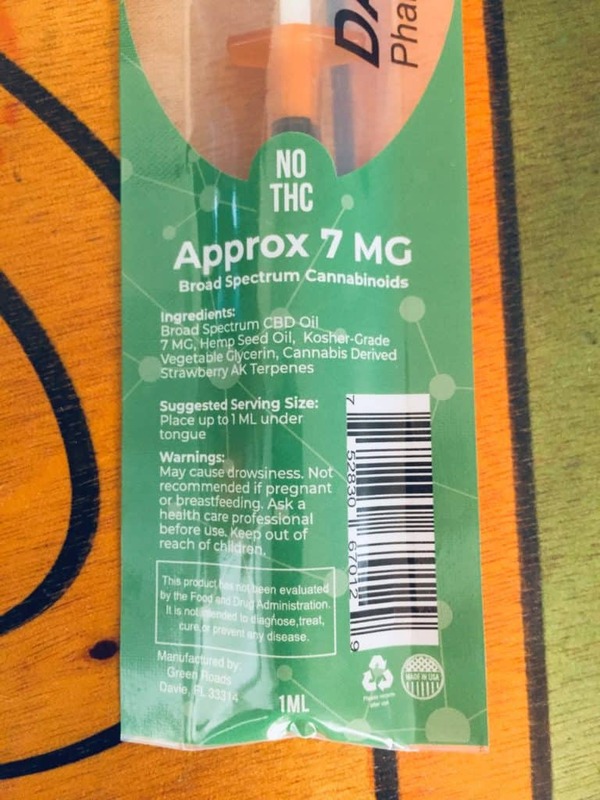 So, an hour before my sister and I hopped into the truck, I took two full syringes of the Daily Dose Strawberry AK for a total of 14 mg of CBD. The oil was sweet, like strawberry candy with a mild weedy taste. I loved it. Tastes better than medicine, that’s for sure. The directions ask you to hold the liquid under your tongue for 30 seconds, which I found difficult. Most of it dispersed around my mouth, so I just held it in my mouth. After about an hour, I felt a warmth and relaxation go through my body. I was really impressed because usually with oil tinctures, I need to take over 40 mg of CBD to feel anything. This is some potent, high-quality stuff! I look forward to trying their other products. This product is unique because it’s made by pharmacists that create the right formula of cannabinoid for effective health benefits. More importantly, Green Roads has partnered with Mission Zero, an organization whose mission is to help veterans with PTSD and end the suicide epidemic. Green Roads helps provides education and resources for mental and physical health. I love the syringe with the measurement label. Handy for people looking to microdose! Delicious and very easy to use. An inexpensive way to medicate. Green Roads Daily Dose was hands down one of the best CBD oils I’ve ever tried. I only took 14 mg of CBD and I felt the benefits. I’ve taken 40 mg of a $60 bottle of hemp oil and not felt the healing properties at all. The Daily Dose of Strawberry AK is only $6.99 per syringe and I know it works! 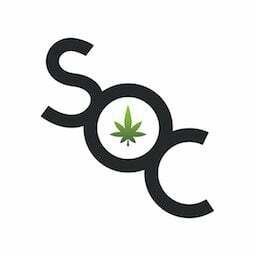 Save money with CBD Oil coupons here at Save On Cannabis the World’s largest online cannabis coupon code directory.